Be Our Guest is on the Disney Dining Plan, as a quick service credit for breakfast and lunch and two table service credits for dinner. The restaurant's three dining rooms can serve a total of 550 guests between the elegant ballroom setting, the mysterious West Wing of the Beast's castle or the stunning Rose Gallery. Counter service is available during the day, and the restaurant becomes table service at night. However, lunch is unlike any other quick service location on property, in that you order your food and then have it delivered to your table on real china plates with real silverware instead of the usual paper and plastic items found at most quick service locations. Reservations for lunch are available, both by phone and on My Disney Experience. If using My Disney Experience, you will have the option to pre-order your food and drinks up to 30-days in advance and even up to 5-minutes before. Lunch is still Quick Service and is served from 10:30am-2:30pm. Table service dinner continues the French bistro theme with a large selection of appetizers. NEW! 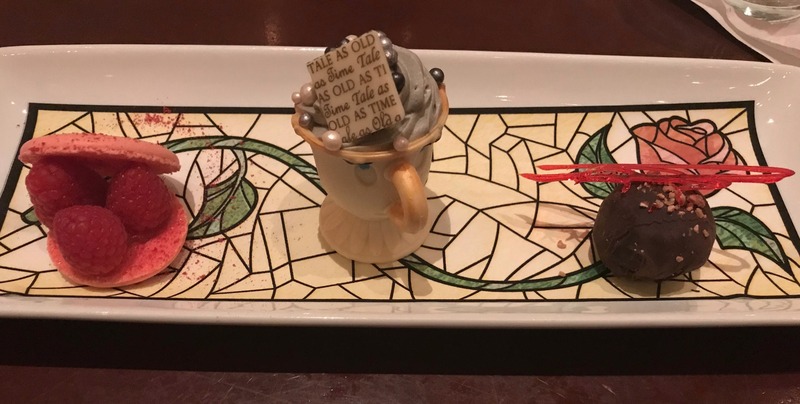 Be Our Guest Restaurant now offers an enhanced prix fixe dinner menu that features a variety of delicious French-inspired dishes and new menu offerings. Pricing is $60 for adults and $36 for children or two Table Service entitlements on the Disney Dining Plan. Options for kids are a little different than the standard chicken fingers and fries that are readily available across the park. Youngsters can choose from Mickey meatloaf, seared mahi mahi and whole-grain macaroni with marinara sauce. FUN FACTS: There are 115 windows in the Beast's Castle. The lion-like figures flanking the door at the entrance to Be Our Guest Restaurant were referred to as “golions” by the design team, a combination of goat and lion. The centerpiece chandelier at Be Our Guest Restaurant measures more than 12 feet tall and 11 feet wide. It boasts more than 84 candles and more than 100 jewels that hang down to give it added shine. At Be Our Guest Restaurant, the delicate Rose Gallery, adorned with rose accents, paintings and tapestries, is centered by a music box nearly 7 feet tall with a twirling Belle and the Beast. 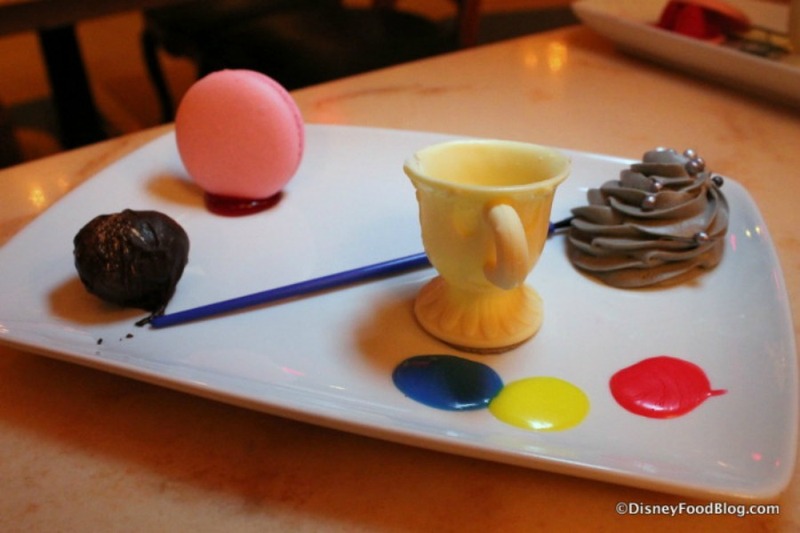 Menu discrepancies or corrections about Be Our Guest Restaurant? Let us know!